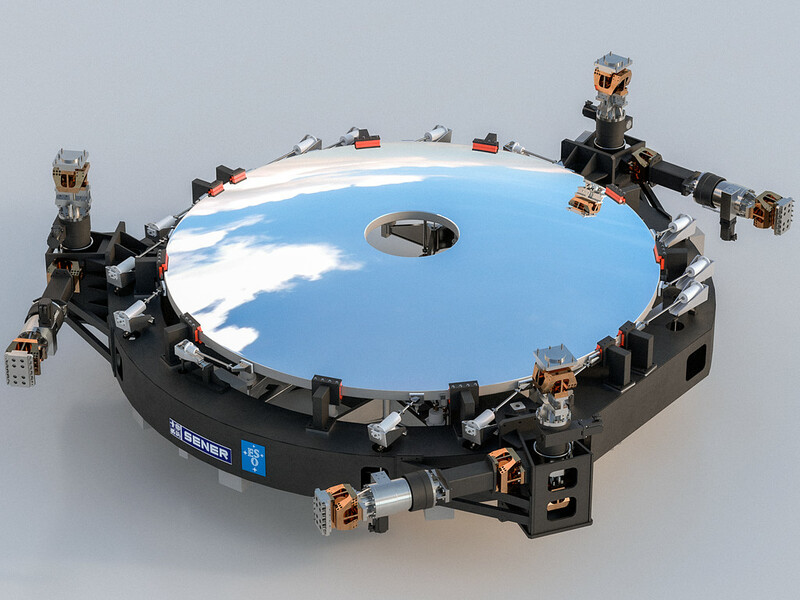 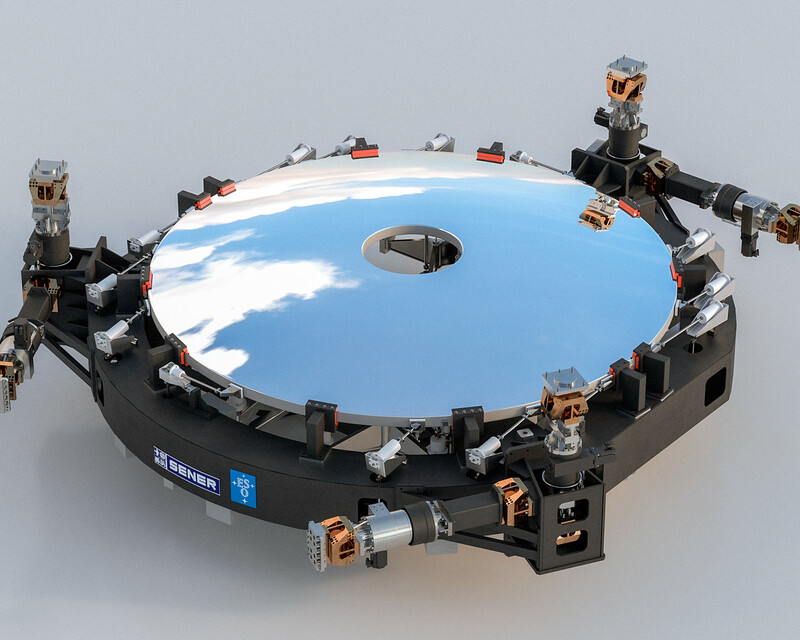 This image shows a rendering of the M2 mirror (a SENER project) that will be used on ESO's Extremely Large Telescope (ELT). 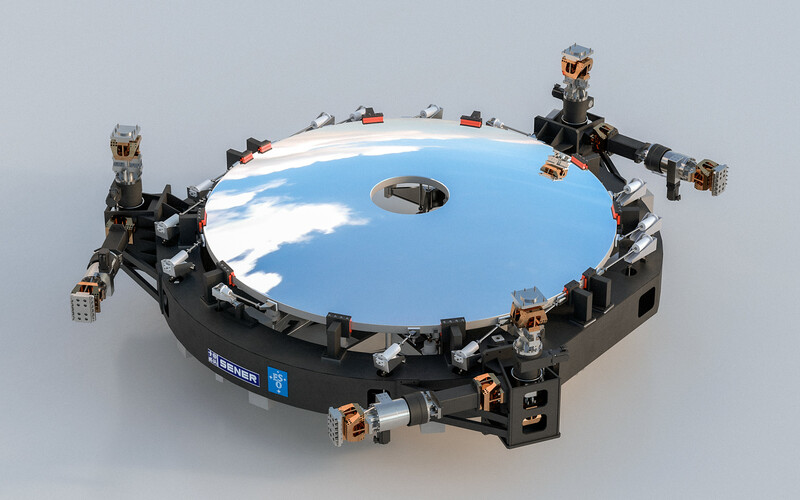 Designed and manufactured by SENER, the mirror will be 4.2 metres in diameter with a convex shape. 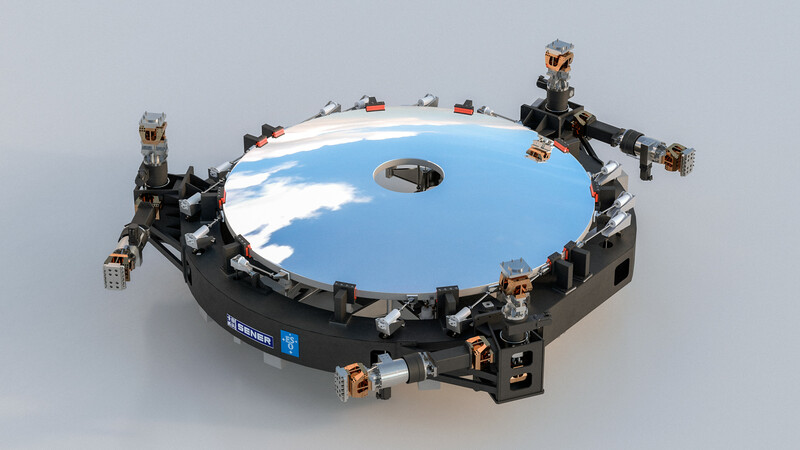 The total weight for the M2 system will be less than 12 tonnes.